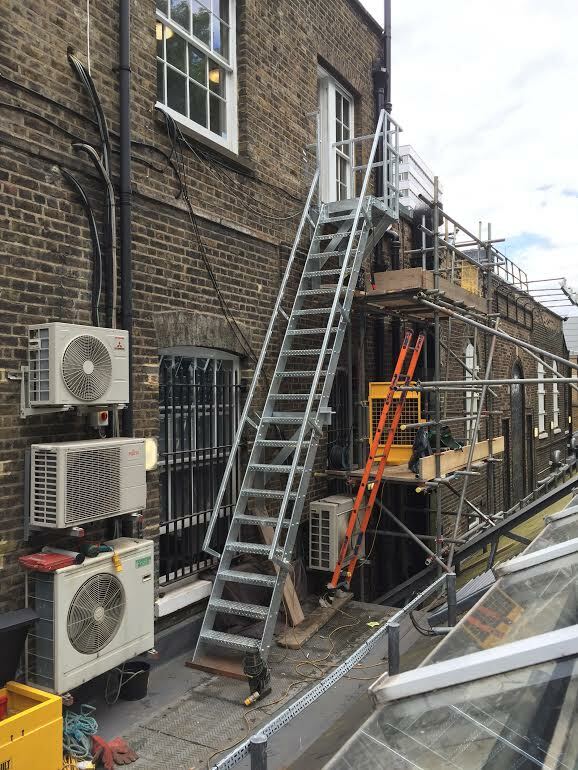 Based in South London, Fire escape Ltd specialises in the repair, renovation, supply and fit of fire escapes. Owner Ian Cullingford has been in steel work for over twenty years, concentrating on fire-escapes for the last ten. I want my fire escape repaired or replaced - what do I do? 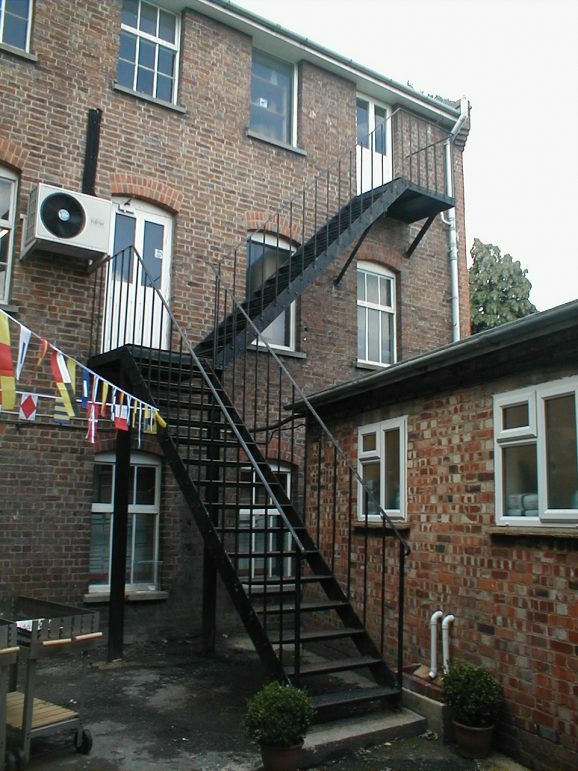 Repairing fire escape stairs are often cheaper than fitting new metal stairs. Metal staircases are often badly affected by corrosion, but this not obvious until a tread drops out of the staircase or we are asked to survey the structure. It is a good idea to survey metal staircases every few years. One area that is often overlooked is the requirement to have good fire escape signs, particularly in a commercial environment. Often the first verbal stair inspection is free of charge. Renovation is often the least disruptive, most cost effective solution to the problem of dilapidated steel and cast iron staircases. Typically the stair is out of use during works from 9am until 5pm Monday to Friday, but returned to full use outside these times. 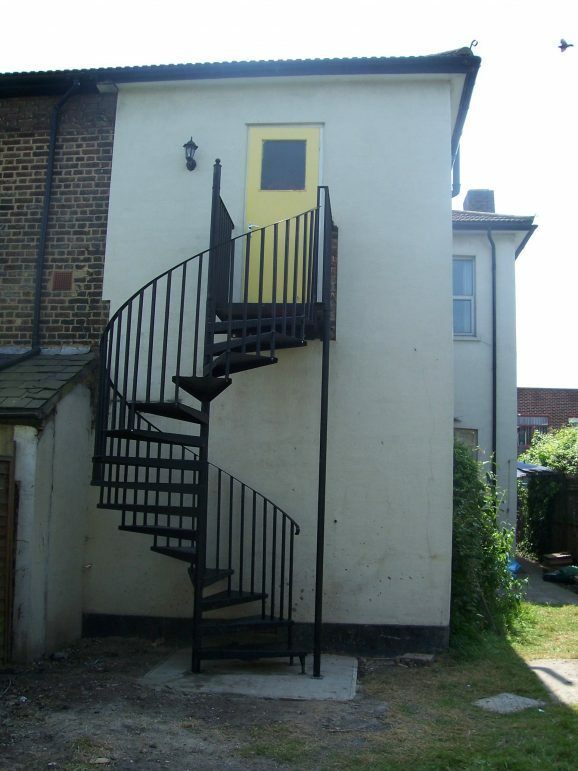 If you do require a new fire escape system, the first step is always to talk to your local authority, who will be able to tell you what you can construct at your property and what you are able to do under the provisions of the Building Regulations, which covers fire safety in all new and altered applications. The local authority can also advise you if there are any planning permission issues you need to be aware of. The next step is to hire either a structural engineer or an architect who can engage a structural engineer on your behalf. Structural engineers oversee all aspects of design and construction of buildings and will provide you with a General Arrangement Drawing. This is a definitive drawing of the space the fire escape will occupy, how it will be mounted, the kind of paint finish it will have and its foundation requirements. If all of this seems a little a daunting we will be more than happy to liaise with local authorities, surveyors, architects, structural engineers and fire authorities on your behalf.